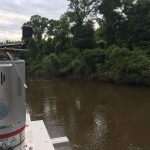 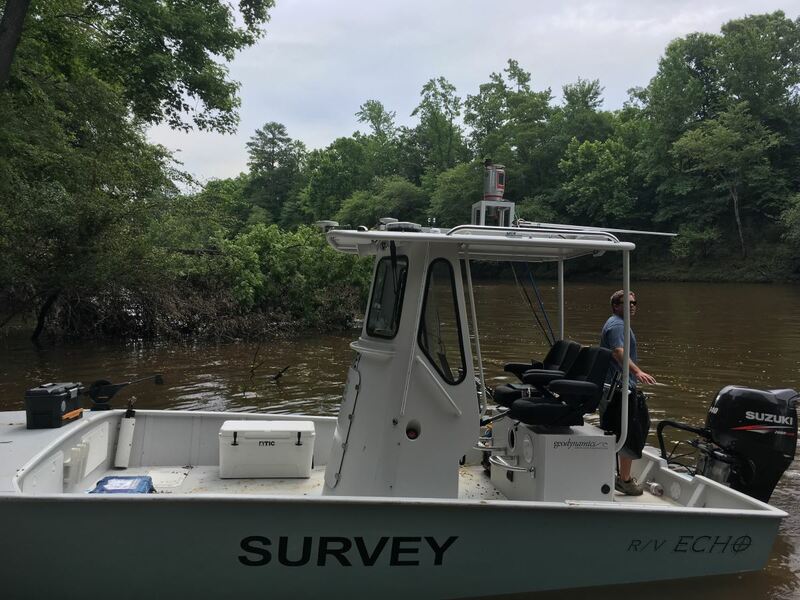 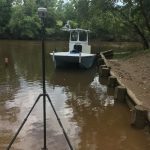 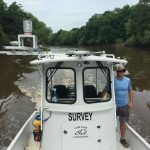 Geodynamics mapped a six-mile portion of the Tar River using a Riegl mobile laser scanner and an Odom singlebeam sonar. 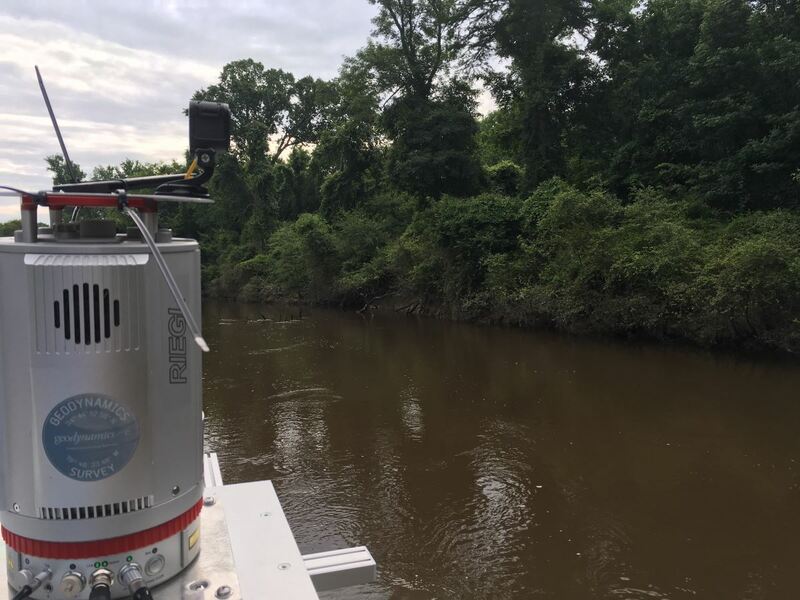 Both systems were mobilized on the shallow-water custom survey vessel R/V Echo with RTK-GPS positioning and an Applanix POS-MV inertial motion sensor. 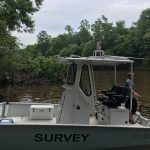 Elevations and soundings were collected along transects and cross sections. 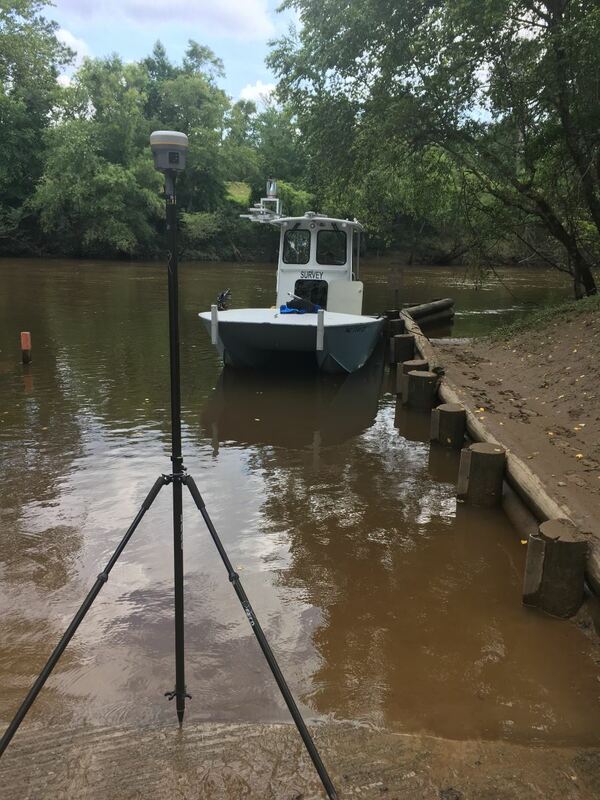 Real-time data mobile laser scanning data was collected simultaneously with singlebeam data; the laser scanner was mounted on the outside starboard side of the vessel to scan the full vertical field of view. 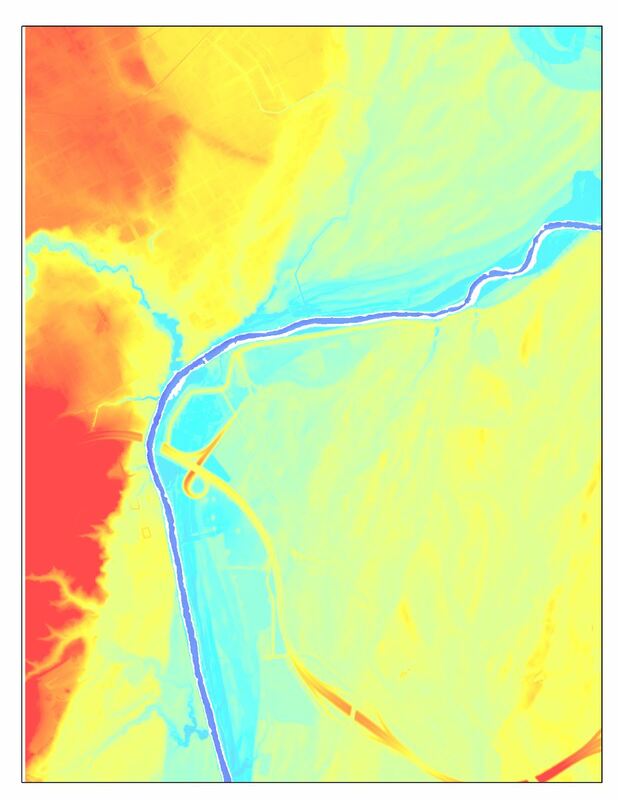 Data processing included Hypack to integrate raw soundings with correctors, QPS QINSy and Qimera to integrate mobile laser scanner components, edit, and visualize the data in 2D and 3D, and Surfer for gridding into a Digital Elevation Model. 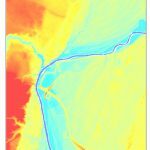 This seamless topo-bathy streambank survey provided the client with an accurate basemap for hydraulic modeling and civil engineering. 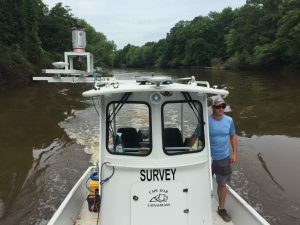 In addition, the precise positioning and documented QA-QC methodology will support repeatable surveys that are capable of identifying changes in the streambank in the future.